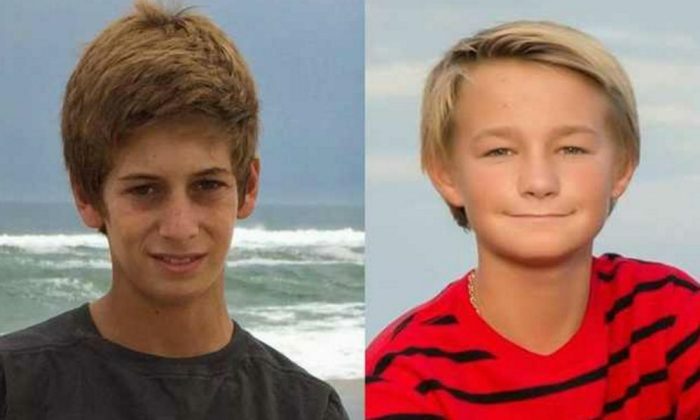 Two Florida boys who disappeared on a fishing trip two years ago near Florida left behind a map and sent messages right before they set off, according to a new report from the Palm Beach Post. Austin Stephanos and Perry Cohen, who were both 14 when they disappeared, messaged at least one friend if he wanted to join the day before. “Me and Austin r (siq) crossing to the Bahamas tomorrow come with us,” Cohen wrote in an Instagram message to a friend, according to recently unsealed court documents, as reported by the Post. Another friend of Austin Stephanos told officials that the boys were thinking about going to the Bahamas but said it was “too rough” to sail. On Thursday, the Florida Fish and Wildlife Conservation Commission released a report saying a “weather-related incident” was the cause of the pair’s disappearance, while noting that the boat’s engine was working when it took on water. “The evidence (is) not conclusive enough to confirm any particular scenario on what happened that tragic day, other than the fact that the vessel took on water and capsized,” stated the report, Weather.com reported. The new details were unveiled as part of a civil court filing in December over Austin’s cellphone, which was found when the boat was recovered last year. On Monday, Cohen’s family said it’s considering a civil lawsuit after the Florida Department of Law Enforcement released a report saying Stephanos’s mother, Carly Black, was negligent. It, however, didn’t recommend charges against her. Black filed a likely pre-emptie lawsuit against the Cohens to prevent a wrongful death lawsuit, NBC2 reported.